What happens when you blend equal parts from both sides of America’s most well known wine family? You get a Mondavi Family first! A handcrafted limited production one-of-a-kind-wine with one heck of a story behind the bottle. 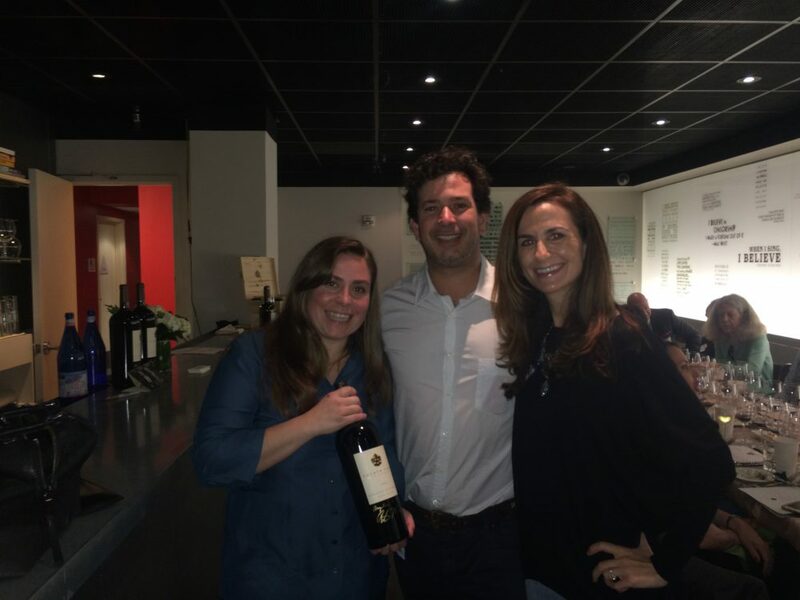 Fourth generation winemakers Rob Mondavi, Jr. (Michael Mondavi’s son) and Angelina Mondavi (Marc Mondavi’s daughter) are the eldest grand kids of the late Robert Mondavi (Rob’s Grandfather) and Peter Mondavi, Sr. (Angelina’s Grandfather). The dynamic duo’s artisanal wine is 100% Cabernet Sauvignon with grapes from Atlas Peak (Rob’s side) and Howell Mountain (Angelina’s side). 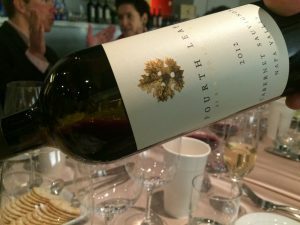 Last week, I got a unique opportunity to sit down with Rob and Angelina Mondavi for a five-year vertical tasting of their passion project, Fourth Leaf Wines. 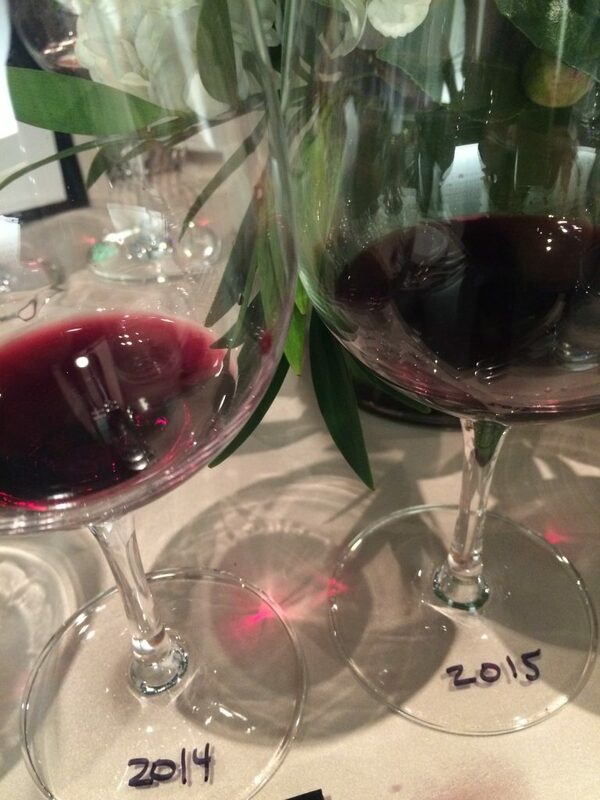 During the wine pairing lunch we tasted the 2011 and 2012 (in bottle) and barrel samples from 2013, 2014, and 2015. 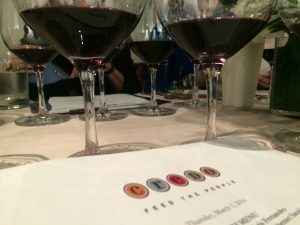 The amazing event took place at Credo where Chef Chris Fernandez pulled out all the stops and paired the wines to perfection. If you can, I strongly recommend getting your hands on this highly coveted handcrafted wine. 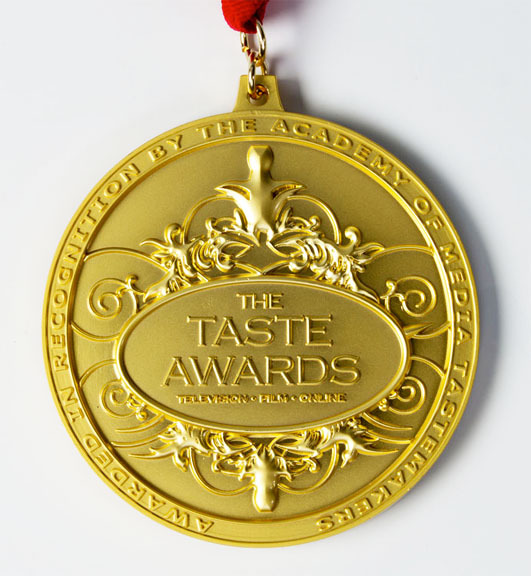 Not only will they stand the test of time, but they will give you a taste of history in a bottle. You can find Fourth Leaf Wines on their website or by contacting ACME Fine Wines in St. Helena. The Inaugural release of Fourth Leaf is 100% Napa Valley Mountain Cabernet that is fittingly 50% from Rob’s family property atop Atlas Peak and 50% from Angelina’s family property atop Howell Mountain. The high elevation of both properties remained virtually unscathed by the difficult 2011 Mother Nature, producing a wine rich and complex with supple hillside tannins and pronounced mountain fruit, both in layers of bright and dark berries. This exuberant, full bodied 100% Cabernet Sauvignon boasts a bouquet of ripe raspberry, Bing cherry, fresh blackberry and cassis. The vibrant fruit notes are accompanied with hints of semi-dark chocolate, vanilla, and exotic spices of cardamom and green tea. A densely layered palate compliments the aromas with freshly harvested ripe blueberries, cherries and red raspberries, finishing with long finessed vanilla bean and creamy tannins. 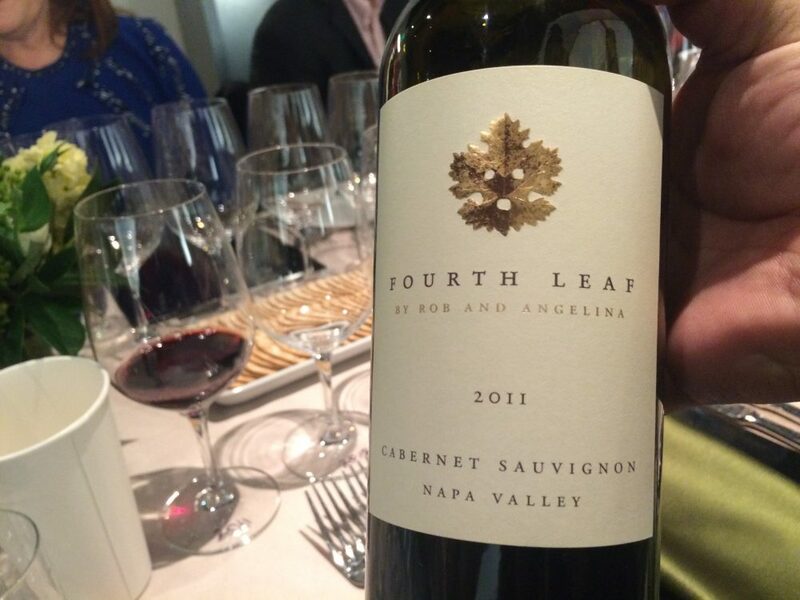 The third vintage of Fourth Leaf continues to project an intense and complex Mountain Cabernet Sauvignon, showcasing beautiful aromas of black currant, blueberry, and blackberry with subtle nuances of cola, anise, and exotic spices. At the tip of your tongue, the impression is soft and silky with a hint of sweetness. The 2013 vintage provided us with the perfect canvas to create a big and rich wine with lingering juicy tannins. The 2014 Fourth Leaf is downright intriguing. Your first sniff is the beautiful aroma of freshly baked lemon cake, sarsaparilla, and fresh blueberries. As the wine continues to open up, blackberry and extreme blueberry jump from the glass with innuendos of red raspberry. The wine’s complexity continues to the palate with black and white pepper and captivating spices. Fourth Leaf is both intricate and direct with elegant and harmonious tannins and mouth-watering acidity that unveils a liquid cashmere finish. This wine is teaser and component of what to anticipate down the road. Our 2015 is on track to release early 2019. Staying true to our Fourth Leaf winemaking style it exudes ripe black fruit with red fruit components. As a younger wine, the tannins are firm yet plush and inviting, perfectly staged to be blended and put to rest in barrel.